I love peanut butter - the oily type where you have to whisk the oil back into the peanut butter for that creamy spread. 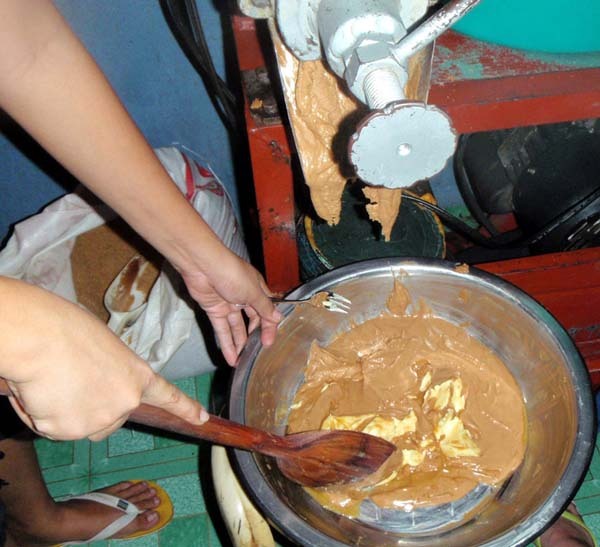 If that's not good enough, I chanced to pass by Davao City's Bankerohan where peanut butter is made and sold. 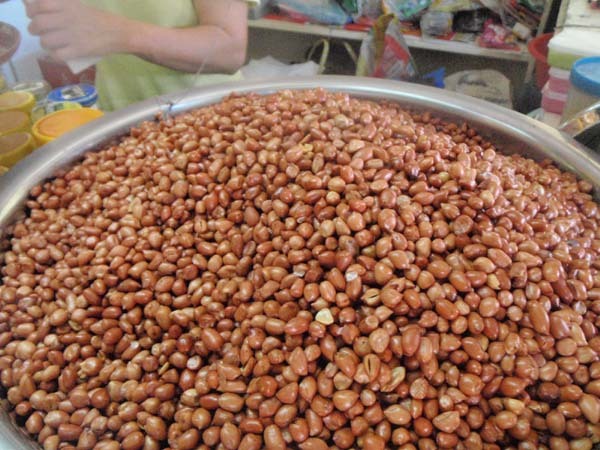 They have their peanuts by the bushel. 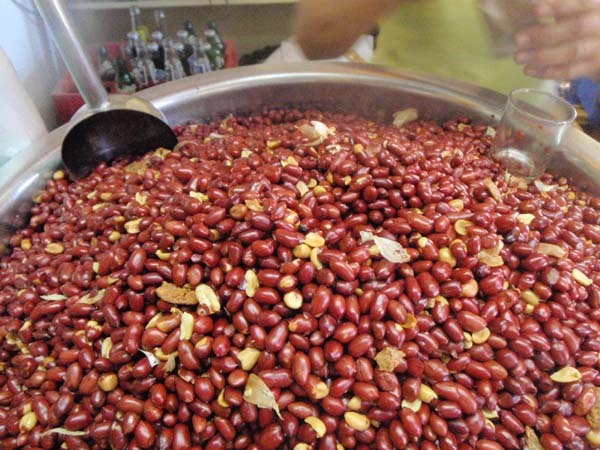 Usually three kinds - the red skin for table use, the brown skin for peanut butter and the skinnned Taiwan variety. They go roughly P90 - P100/kilo, cooked. 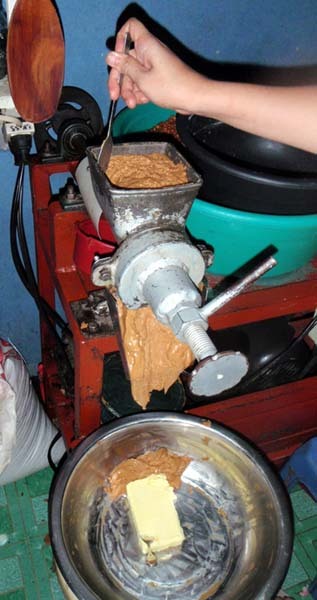 To make peanut butter, it's fairly simply. 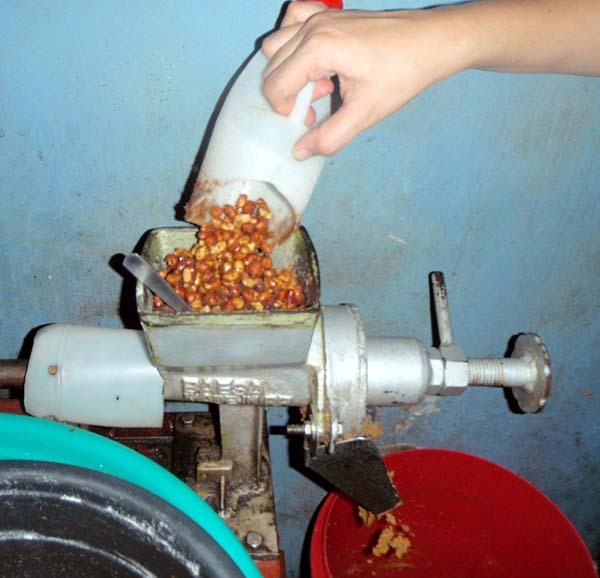 They mix the sugar, a little salt and cooking oil with the peanuts and put them on a grinder. It usually takes 2 passes on the grinder to refine it. 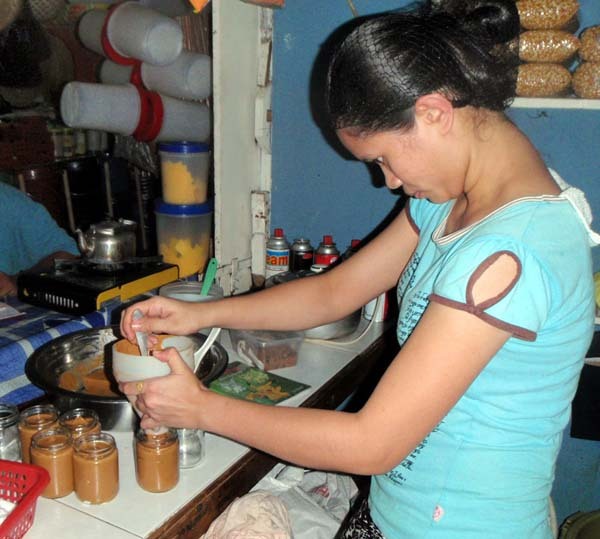 That's right, the oil you see floating on the peanut butter jar is NOT oil from the peanuts but cooking oil. Yep, to think I was feasting on cooking oil? Yummy but disgusting. 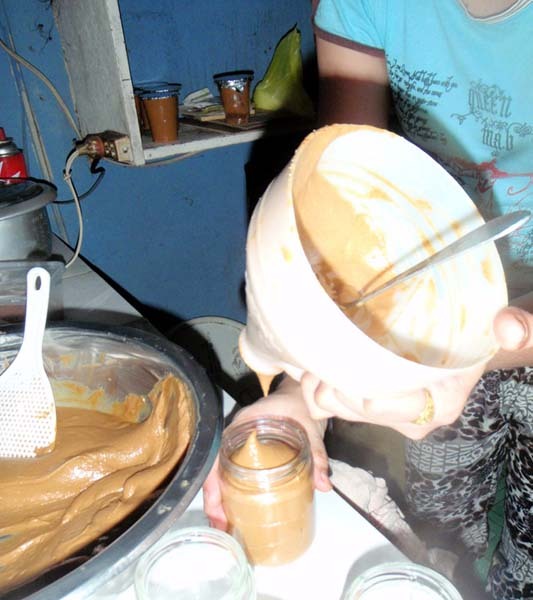 They blend the mixture further with a big wooden spatula before putting them in jars. Voila! Peanut butter. 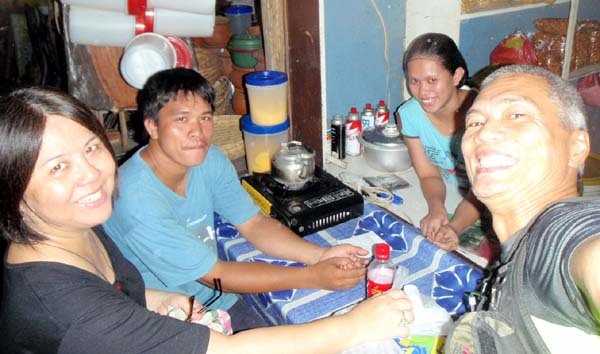 With Mel Pangan, my gracious hotelier hostess at Bahay ni Tuding, we went to Bankerohan with our own ingredients - Anchor Butter for one kilo of peanut butter and for the 2nd kilo, we used extra virgin coconut oil and muscovado sugar. Initially, the makers balked at using Muscovado sugar because its fibers clog the grinder - but they were persuaded thanks to Mel's charm. I only had a little dollop of Anchor Butter Peanut Butter on a spoon and it was fine by me. The extra virgin coconut version however, tasted too much of coconut. Maybe it's best to only use a quarter of it and use something else for the 3/4. It's actually cheap. 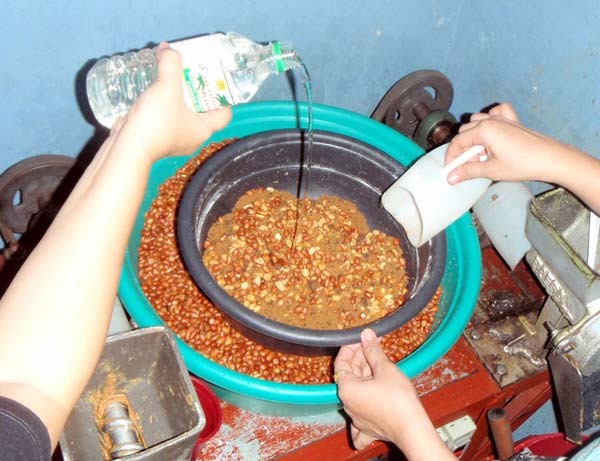 ~P100/kilo of peanuts and ~P20 to grind plus P100 for your Anchor Butter. 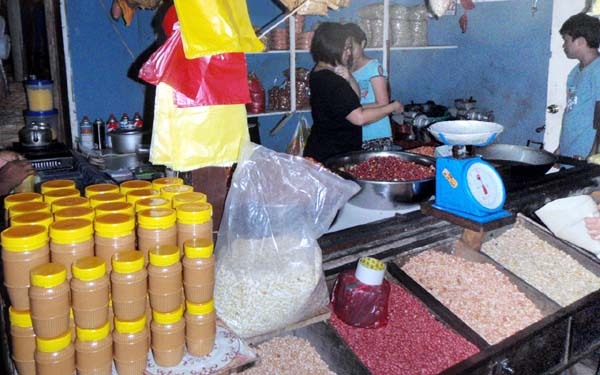 Less than P250 and you have the best peanut butter in Davao! That's even cheaper than buying branded peanut butter for the same quantity. 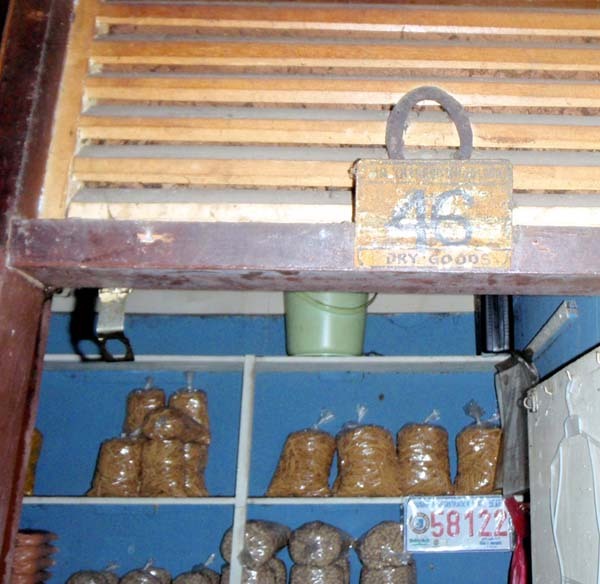 And they will customize peanut butter for as little as one kilo. Now that the secret is out, no need to be ingesting cooking oil again. Bankerohan is a city hub so most jeeps ply that route. P8-10/pax. Ask people at the market where the peanut butter section is. 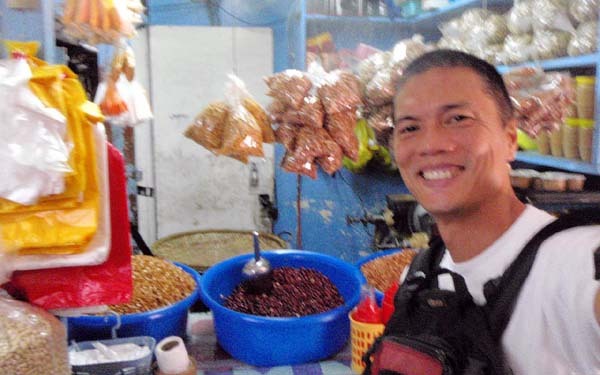 (Oct 8, 2013) I'm quite excited because I think I found the right blend of peanut butter. The missing ingredient - honey. Remember the leftover peanut butter? Well I put it in the food processor with honey. It's the right consistency-finally. I have to make a new batch so that I'll get the taste right. This one still has too much coconut oil. But I think I got it. (Oct 3, 2013) ...that was fun no? You're really a pro at whatever you do - the peanut butter is great. the taste, the texture, the spreadability. You got it on the first try. I have a sneaky feeling you've done this before but you're just not telling. How come it came out perfectly on first try!! I'm going to experiment some more. Will let you know. (Oct 3, 2013) Love the peanut butter with anchor butter. Taste is just right, not too sweet. Git, is that the only one you have? Oops, sorry! Hehe. Paubos na! I hope my uric acid won't shoot up! Thanks again! Yummy! (Oct 2, 2013) Gina, you have to ask Pinky. I gave her the jar! 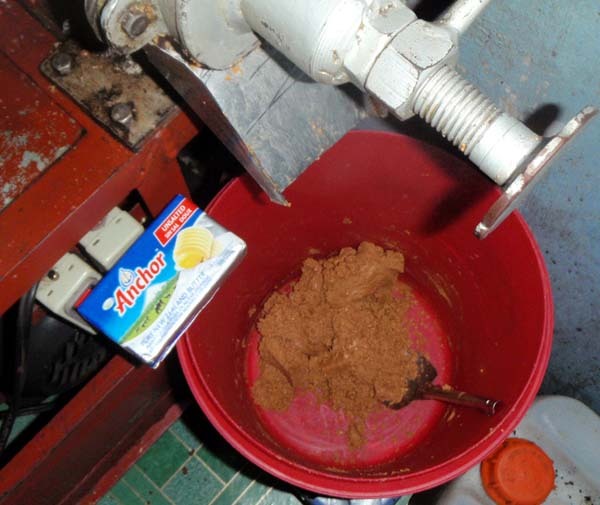 (Sep 30, 2013) How was the peanut butter made with anchor butter? »» next story: Goodbye Davao...Again!